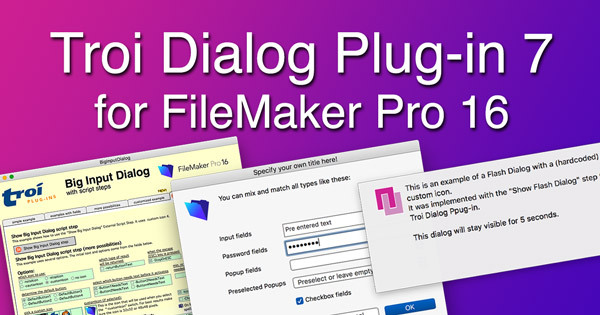 Scriptable dialog plug-in adds new script steps and online help for FileMaker Pro 16. 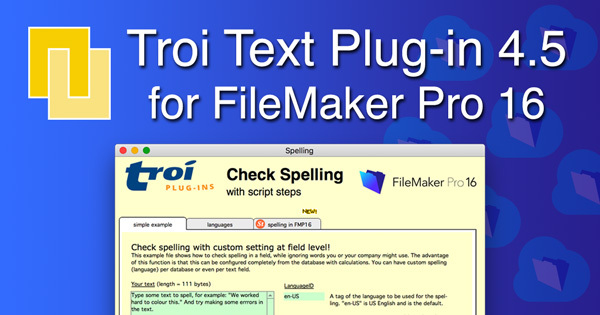 Internet plug-in adds new script steps and online help for FileMaker Pro 16. 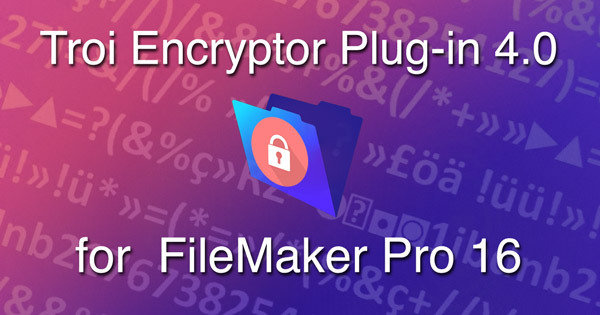 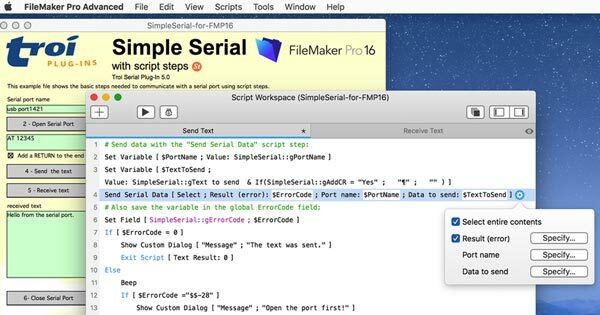 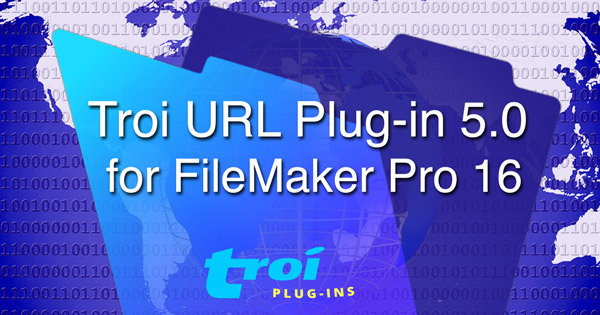 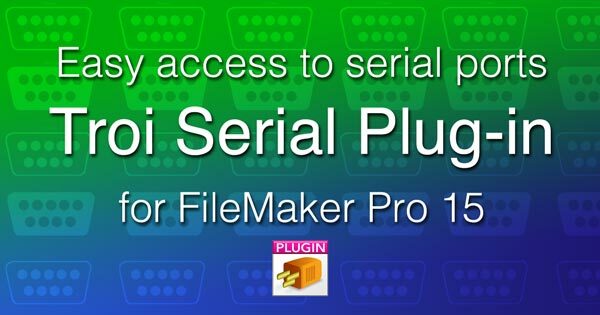 Serial communication plug-in adds new script steps and online help for FileMaker Pro 16. 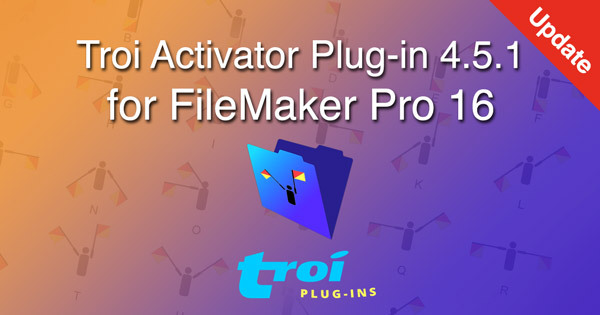 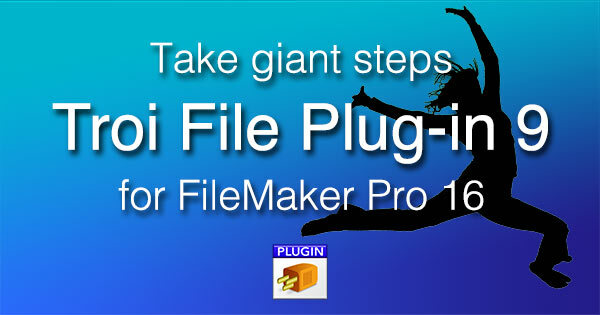 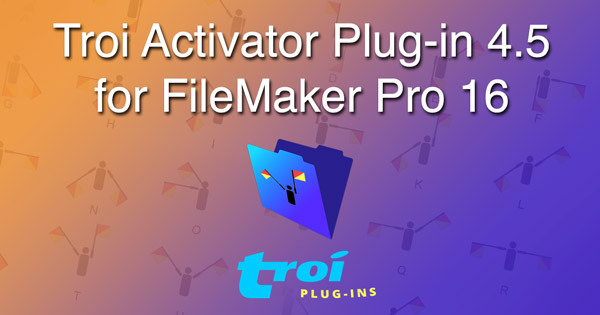 Updated file management plug-in is compatible with FileMaker Pro 16 and adds new functionality.